We specialise in the repair, spares & sales of EMI-MEC Plugboard AutoSprint 'S', AutoSprint 'E', CNC MicroSprint 50, MicroSprint 32 & MicroSprint 26 automatic lathes. 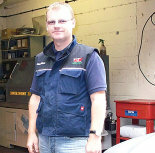 EMI-MEC Machines are sold on a regular basis, which can be viewed & demonstrated in our premises. Whether they have been refurbished or just checked over.... all are thoroughly tested & sold with warranty. We invite you to contact us for FREE advice when MOST faults are solved over the phone. 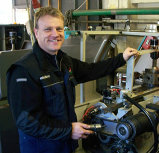 We will be pleased to help & are confident in providing second to none assistance with your EMI-MEC machinery. Each of us carry all EMI-MEC spares including seal kits, micro-switches, switches, sensors, relays, fibre optics, motor brushes, relays ........ & well just about everything necessary to complete fast efficient onsite repairs. 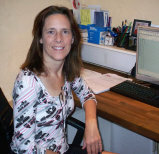 Julie looks after invoices / accounts etc. Parts are despatched daily....mostly as a result of our NO NONSENSE FREE ADVICE, when breakdowns are diagnosed over the phone. You can find prices of some parts listed on other pages of this website.